Not only have I been humbled lately by the outpouring of love and appreciation from my students and colleagues in Denmark, but I have been both humbled and OVERWHELMED by the amount of people who are lifting up my mom every day in prayer and in thoughts of positive healing.....especially when I consider the number of folks who have never even met her, yet continue to pray. But on Thursday morning Albert and I loaded up and headed north, leaving Jess in charge of Hermione & Lebowski. 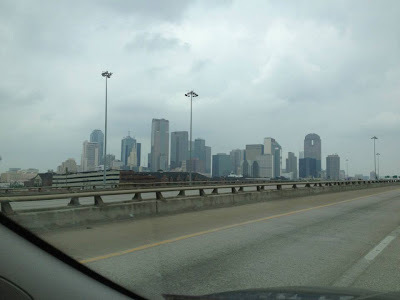 It is about a 3 hour drive to their house from Bryan/College Station and I must admit that although I really like this new place we are calling home, I got a really big twinge of HOMECOMING as I pulled up I-45 and saw the Dallas skyline. I finally felt after 2 weeks in Texas that I was really home. As we pulled into Mom & Dad's driveway, my heart leapt with anticipation because I had not seen them since February.... much much too long. They had only been home about 30 minutes as this was the day that mom was discharged from the hospital after Phase 1 of Round 1 of the Clinical Trial she is now a part of. I want to take minute and explain a bit about this trial so that my awesome friends know HOW to lift her up in your thoughts and prayers. She is one of about 30 people fighting cancer in this trial, but she is the first one they have ever had with pancreatic cancer, which as you know is mainly because most pancreatic diagnoses come too late. After the 3 days (Phase 1) she was allowed to come home to somewhat go about her normal routine as she awaits Phase 2 of this first round next week. And "going about her normal routine" is where I came in! We had a fabulous time during my 2 days with them.... didn't really do anything special, but in our family, you don't have to DO something special to make the time together incredibly special. In fact, even Albert knew that we were there to just hang out with PaPa Mike and Granny Dee....and those of you who know Albert know that for him to LEAVE MY LAP and head over to her, he must really love her...and she must be pretty awesome! Phase 2 of each round involves another type of attack on the cancer cells but this time in the form of pills that she will take 3x a day for several days in a row. They are not as dangerous as the IV bacteria she received, so she ought to be able to actually get out and enjoy herself a bit more....and maybe even get out on the golf course with her golfing buddies! After Phase 1 is completed, they will run a scan to see that the ATTACK is working...and then when we see THAT IT IS, she will start all over again with Phase 2. And I honestly could not believe that God was allowing this to happen ...and to my mom of all people. She is quite possibly the strongest person I know, and although we are different from each other in many ways, one of the things that I think I inherited from her is that strength. So I just resolved that because she could not be strong for a while, I would have to be strong enough for both of us, for all of us. And that is what I have tried to do these 7 months. I have not allowed myself to cry very often or wallow in the "why us" sentiment because my role in our family during this time was to be what I was used to her being for all of us. And I believe that resolve is what has helped me to walk this journey with her.... of course my dad is the one really WALKING it....day in and day out...and wow.... watching him in action, as he takes care of so many things is just awe-inspiring. 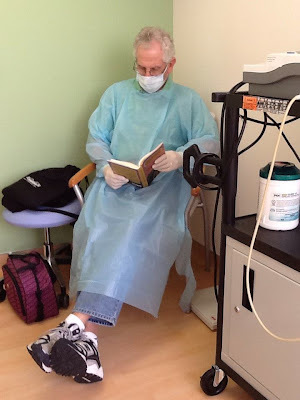 But the other thing that has helped me in this journey is that I am not "choosing to live every day to the fullest because my mom has Stage 4 Pancreatic Cancer". Rather, I am choosing to live every day to the fullest because that is how my mom raised me to live.....long before cancer ever made its way into our family. When, as a 16 year old girl, she found out she was pregnant and CHOSE to KEEP me, she instilled something in me (long before I ever took that first breath) that taught me that LIFE IS A GIFT.... a gift that we must choose to unwrap every single day. SEE Y'ALL IN A COUPLE OF WEEKS. Goodness gracious. It is good to be home. First of all medical advancements are just amazing! What they are able to do now compared to just a few years ago is incredible and such a blessing for people like your Mom. Second your Dad must be such a comfort for your Mom having gone through his own battle with cancer, he understands her maybe more then anyone. So glad they have each other. Third, you have always always given me the impression of being a super strong woman. Your positive outlook on life is inspiring and uplifting. I know these traits are often passed on by our parents, so you have truly been blessed with such wonderful parents my dear and I know you've passed on your positiveness to Jess and I know Corrie will also be a positive girl! Thank you so much for explaining in detail all that your Mom is going through. My prayers continue for you and your family, especially your incredible mother throughout all of this. I think your entire family is amazing Kelly! Thanks for the update and I'm glad to hear round 1 went well. Continuing to pray for her and your family. What an amazing family you have! In the immortal words of Red Green, " Remember, I'm pulling for you. We're all in this together."